This post was sponsored by First Alert. I was selected for this opportunity as a member of Mom It Forward Influencer Network. The content and opinions expressed here are all my own. Do you know October is National Fire Prevention Month? That being said, it is important to make sure that our home and family are well prepared with all the required safety steps. In case of fire, each second counts and so we need to know what to do in case of emergency. Practicing fire safety to escape in case of fire is most needed and a part of it includes installing properly functioning smoke alarms throughout the home in every single room. This is recommended by National Fire Protection Association (NFPA) as the first line of defense for fire prevention. When it comes to home safety, First Alert is America's most trusted brand. Their premium standard of smoke alarms, carbon monoxide alarms, fire extinguishers, safes, security cameras and much more provide full home protection. Here are a few tips to ensure that your family is super prepared this fire prevention month! The critical component of fire safety is having and practicing, an escape plan with your family. Make sure you identify two ways out of each room which can include windows and doors. Also, everyone in the home needs to understand the plan. According to new research from First Alert, only 27 percent of families have included a meeting spot in their fire escape plans. So get the whole family involved, create an escape plan and practice it. Smoking is injurious to health. If you or your family member has the smoking habit, you have to be extra careful. Buy fire-safe cigarettes and smoke outside. The matches, lighters, ashtrays etc. should be kept out of children's reach. The ashtrays should be kept away from places which can catch fire. Empty the ashtrays into a container that is safe from fire. Never smoke inside the home as it is not safe at all. Taking care of these simple things helps avoid any fire hazards. Kitchen safety is very important to prevent fire accidents. The cooking area should be kept clean and vented to the outside. Do not leave the stove unattended. There should be no oil in and around the stove area. Electric equipment should be kept away from combustibles. Any oil or dirt buildup on electric appliances should be addressed immediately as it can cause the equipment to overheat and short-circuit. Any kind of odd sounds, odd smells or sparks from electric equipment should be checked by a qualified technician. Electrical fires are frequently caused by overloaded equipment and circuits. So make sure that isn't the case. As important as it is to place fire alarms, it is equally important to consider alarm replacement at the right time. 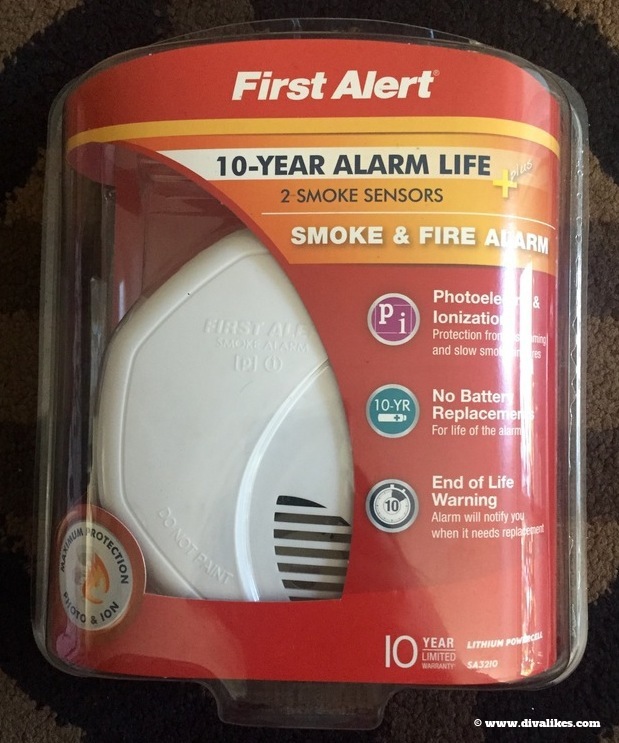 It is important to consider each home's specific needs to make sure the home is properly equipped with both smoke and carbon monoxide alarms. Often dubbed "the silent killer," CO is a colorless and odorless gas that is impossible to detect without an alarm. Compounding the issue and concern is that CO poisoning is notoriously difficult to diagnose – often until it's too late. The symptoms mimic those of many other illnesses including nausea, headaches, dizziness, weakness, chest pain and vomiting. In more severe poisoning cases, people may experience disorientation or unconsciousness, or suffer long-term neurological disabilities, cardio-respiratory failure or death. 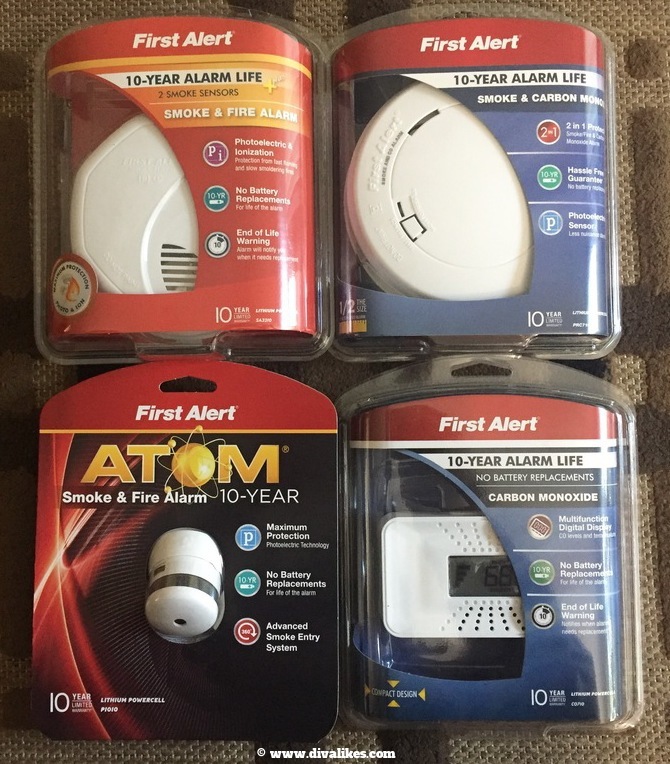 These fatalities could be prevented with First Alert, which has a variety of smoke alarms, including combination and 10-year battery-powered models, are available to meet specific needs and local legislation requirements. The P1010 is a nice addition to your home's safety, ideal for the bedroom. The CO710 is a nice table-top addition and can be easily added to any room. Alarms need to be tested on a regular basis to be certain about it's working condition. Ensure that your alarm has been tested by a nationally recognized testing laboratory. Alarms do not last forever. Be it smoke alarms or carbon monoxide alarms, they last for 10 years after which they need to be replaced. 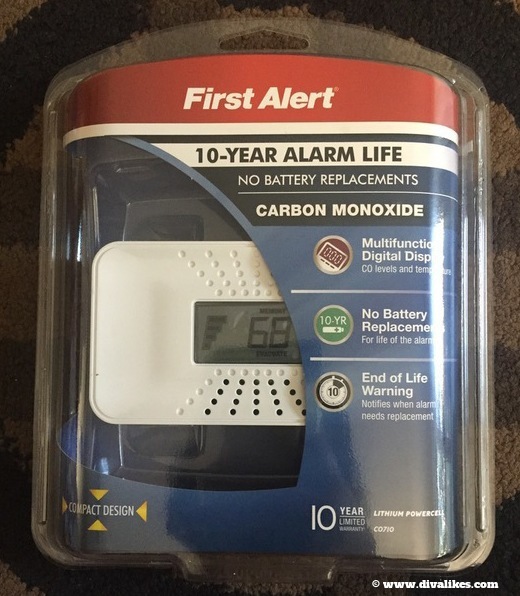 So when your alarm is due for replacement, upgrade your level of protection with First Alert devices containing 10-year sealed batteries. Fire Prevention Month is a great time to keep a check on our home safety. 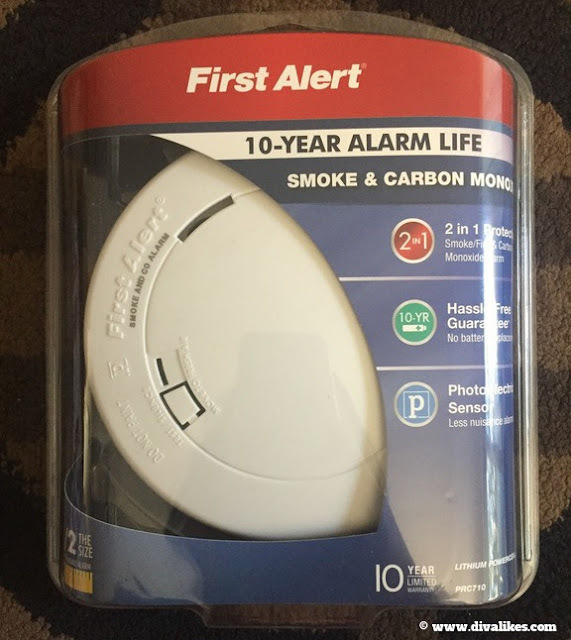 The safety checklist includes testing alarm functionality, keeping track of expiration dates and replacing alarms as needed, ensuring alarms are installed on every level, and planning and practicing your family's escape route. Other annual items such as professionally servicing the furnace and ensuring dryer vents are clean also should make the checklist. Do check out more details on First Alert products on their Facebook and Twitter pages. 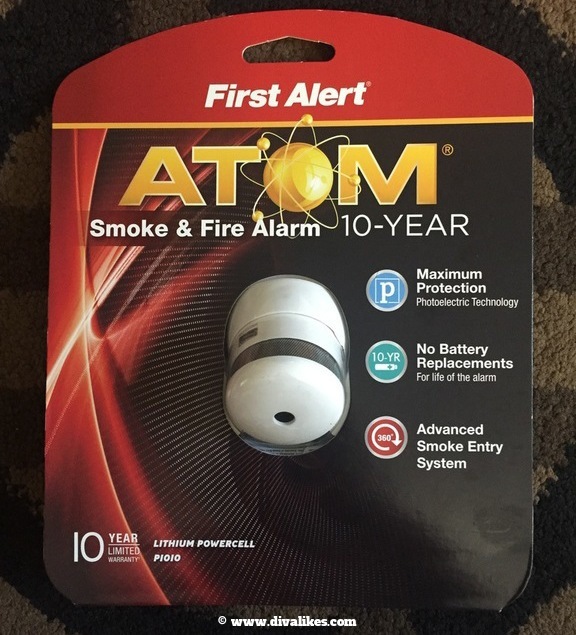 First Alert products offer tamper-proof, hassle-free protection while eliminating the need to replace batteries for the life of the alarms. Stay alert and have a #SuperPreparedFamily.